The sinks in your home or office are extremely important. After all, you depend on them every single day. If you have a leaky, broken or unsightly sink, Curley Plumbing is here to help get your problem resolved in no time at all! You can always count on us for first-rate installation and repair of sinks in Great Neck – with quality solutions guaranteed at prices you can afford! Curley takes the kinks out of sinks in Great Neck! · Repair. Whether your sink or faucet is leaky, running, clogged or damaged, it’s important to have the problem repaired right away. Even a small leak will grow worse over time – and depending on the location of the leak, you could end up facing an even more serious problem and expense from water damage. At Curley, we’re equipped to repair sinks and all types of faucets including ball, cartridge, ceramic and compression models. · Sales and installation. If you’re working on a kitchen or bathroom remodeling project — or just want to replace your outdated sink and fixtures — Curley has you covered! We offer a large selection of the latest styles of sinks and faucets in a wide array of finishes. Why Curley for your sinks in Great Neck? At Curley, we offer an unsurpassed commitment to personalized service and customer satisfaction. We’re large enough to offer all the capabilities of bigger plumbing companies – yet with the personal attention you want, need and deserve. And when it comes to sales and installation of sinks in Great Neck, there’s no need to go to a big box store. We’ll find just what you need – at the right price – and with our always prompt, first rate service. Guaranteed! Call Curley Plumbing today for sinks in Great Neck! 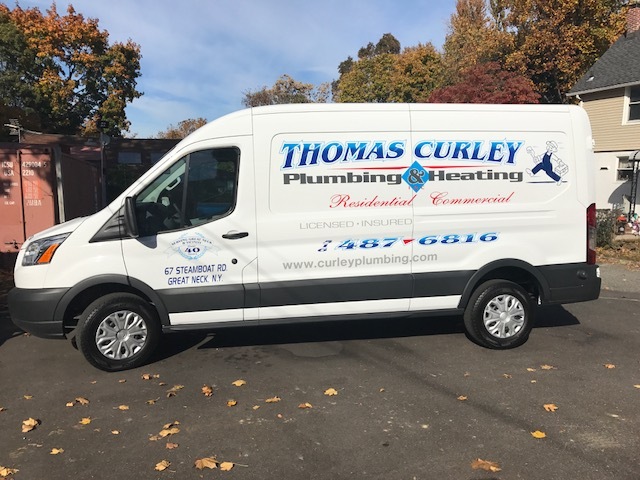 For repair and/or installation of sinks in Great Neck, you can depend on the plumbing professionals at Thomas Curley Plumbing. We’re equipped to handle any type of sink or faucet project, and you can always count on us to get the job done right. Family owned and operated since 1972, Curley Plumbing is your premier one stop shop for residential and commercial plumbing solutions! Licensed and bonded, our name carries a distinguished reputation where quality workmanship, honesty and follow-up are without compromise. For any plumbing cures – including sinks in Great Neck — call Curley today! Remember: One call does it all – with Curley Plumbing and Heating! Contact us today!